Cecily’s 50 year Leader pin received in Mexico City in November 2016 is among her most cherished possessions. Cecily has experienced LLL from coast to coast within the USA starting in New Jersey, then in Texas and now in Oregon. Her involvement early on was in LAD, as the very first CLA for Texas/ Oklahoma, then as among the first RALA’s (Regional LAD) with Founder Mary Ann Cahill, followed as Associate LAD Director, then on the LLLI Board from 1984-1991. Each of the seven Founders whom Cecily valued as friends and mentors as well as the wisdom of Gregory White MD and Herbert Ratner MD, founding fathers of League with whom she shared speaking panels, influenced her parenting. Expecting her first baby in NYC where she taught brain-injured children Cecily took classes at Elizabeth Bing’s home never realizing she would become the President of Lamaze in the USA. Cecily says she is blessed to have lived the history of LLL including attending the Chicago Conference with Princess Grace; having Mary White stay at her home and speaking at Conferences all over the world. Last summer Cecily traveled to Dallas for a 50th year anniversary party organized by the current Leader of the group she started. Cecily is proud to say that many of her former Leaders who still live nearby attended passing on the torch with their stories. Cecily’s LLL global awareness began in LAD including working with the then new Affiliates. For the last 16 years, her work has been with the International Area Network, both in Finances and in Communication Skills, supporting Leaders in Asia, Central and South America, Mexico, the Middle East and South Africa, and for part of that time in Europe. So, Cecily says she has friends whom she has never met thanks to the wonders of electronics. Husband Alex proudly boasts that their wedding was featured in Leaven (former Leaders publication). Cecily says that dating a LLL widow meant intense scrutiny by her colleagues! She and Alex had eight adult children, five of whom live just minutes away; one in Oregon and two currently in Europe. 17 grandchildren and five great grands add to their lively lives. Cecily has experienced home births (her daughters have also), homeschooling (two children until college) and home deaths (her 100+ year old mother last year). Cecily is a Dallas Cowboy football fan and she likes a good suspense thriller to turn off her brain at night. Shevawn teaches English as a Foreign Language at the University of Pisa and has held English courses for children and adults over the decades. She also taught Religious Education for children for several years at her local church, loves horses and dogs, theater, cinema, sports, hiking, and reading. Shevawn became the mother of two in Italy. Her niece, now a retired Leader, had given her The Womanly Art of Breastfeeding during her first pregnancy. Accurate information, support, emphasis on respectful communication and empowerment — it was LLLove at first sight! She became a Leader in 1993. Serving as Area Coordinator of Leaders (ACL) for LLL Italia enabled her to become a member of the European Council from 2013 to 2016, which helped her to broaden her perspective regarding what LLL is and how LLL works. She became a member of the LLLI Board of Directors in 2016 and has served as Chair of the Inclusivity and Outreach Committee as well as member of the Bylaws Committee. She thinks an important challenge that LLLI faces is to succeed in making every Leader feel that they are a part of one and the same worldwide organization. What Leaders have in common is so much more important than their differences, and only if we focus on that will we be able to ensure that LLLI will still be here for our children and our children’s children. Carolyn was born and raised in New Zealand. She became a Leader in 1994, and has served in various roles within LLLNZ including Coordinator of Leader Accreditation and Administrator of Leaders. She was a member of the LLLI Board from 2011 to 2016, and has now been re-elected as the first representative occupying the newly-established LLLNZ seat on the LLLI Board. Ellen lives in West Yorkshire in the UK with her partner and three children aged 16, 14, and 10. Before joining the Board, Ellen had national roles with LLLGB as Trustee, Administration Director, and Website Co-ordinator. She also served on LLL’s European Council and as an Affiliate representative which gave her a great insight into La Leche League as a global organisation. At one of the first meetings Ellen attended, she heard the phrase “La Leche League is changing the world one baby at a time.” She has often heard this since, and it still resonates. At the time she thought it so powerful she instantly wanted to be part of this international organisation that speaks up for a mother’s right to trust her instincts, for mums and babies to be together, and changes the world while doing so! Outside of LLL, Ellen works with an intergenerational theatre company and enjoys walking, community gardening, cooking, and watching films with her family. Sandy is a native of Oklahoma who grew up in Washington state. She returned to Oklahoma for college, then moved to Texas for a decade, where, after having her first two sons, she was accredited in 1985 with LLL of Lake Jackson, Texas, USA. The family moved back to Oklahoma when Sandy was pregnant with her third son. She has held a number of LLL positions over the years, including Associate Area Professional Liaison, Communications Skills Instructor, Web Master, Coordinator of Leader Accreditation, and Social Media Team member, to name but a few. Ongoing personal and professional development are important to Sandy. Outside LLL, she is a member of several organizations including disaster response agencies and the Coalition of Oklahoma Breastfeeding Advocates. She has taken several levels of FEMA emergency response preparedness training, first aid training, and CERT (Community Emergency Response Team) training, is a member of the Oklahoma Medical Reserve Corps, and she participates in ongoing disaster preparedness training with her local volunteer group, the Noman Emergency Response Volunteers Team (NERVT). Sandy is a licensed amateur radio operator with the call sign N5LLL. Finally, Sandy is a member of the Animal Welfare Oversight Committee in Norman, Oklahoma, and the Oklahoma City Herpetological and Invertebrate Society’s Rescue Team. Sandy often responds to calls from metropolitan animal welfare agencies, the local police, and members of the community to collect, treat, and rehome or relocate frogs, lizards, snakes, and turtles. She and her husband John Currently enjoy the companionship of one rescue dog, two cats (one also a rescue), eight snakes (four of whom are rescues), three frogs, one Mediterranean Day Gecko, and two rescue lizards, a bearded dragon and a golden gecko; the latter will be rehomed when their health has stabilized. She also enjoys knitting, which she learned to do while in Germany, and she is (occasionally) working on her first quilting project. Amy Shaw lives on an island in a small coastal community in the Boston area with her husband Chuck. Their three sons are all married, living all across the US. Amy and Chuck have five young breastfed grandchildren. La Leche League has been a vital part of Amy’s life since the birth of her first child in 1979. She became a Leader soon after the birth of her second child in 1982, and first joined the Leader Accreditation Department (LAD) following the birth of her third child in 1985. Throughout the years she has devoted her time to continuously serving LLL as an active Group Leader. In addition to serving on numerous committees, Amy has held various LAD positions within her local Area and Area Network, and served as a member of the International LAD Council. During the ten years she served as Director of the EUS Division/LLL Alliance Area Network, she was also a part of the USA Steering Committee and Interim Council during the formation of LLL USA, as well as a Delegate on the LLL USA Council. When LLLI chose to discontinue the Helpline, Amy worked with Leaders from both US Divisions, at that time, to create the LLL Breastfeeding Helpline-US, followed by serving on the Helpline Advisory Council. La Leche League is near and dear to Amy’s heart as it has guiding so many of her choices in life. Throughout the years of her career as a Physical Therapist, her stint doing Lighting Design, years of teaching Religious Education, serving as a Trustee and Chair of the Board of her condo association, and numerous volunteer jobs relating to her children’s schools and activities, LLL is the one thing that remained a constant. It is Amy’s intense belief that providing the best start in life through breastmilk and feeding at the breast is the greatest gift that can be given to any child. That is why her time, effort, passion, and commitment to LLL remain strong. Marie has been a La Leche League Leader since 1992 with the Bethesda/Kensington Group in Maryland, USA. She and her husband Eric have three children, two grandchildren. Marie homeschooled their children most of the way through school until they were ready to start college. Before having children, she earned a Bachelor’s Degree in English from the University of Maryland and worked as a writer and editor for ten years. Marie has put her writing and editing skills to good use in the varied work she has done for LLL. For 23 years she held positions in the Leader Accreditation Department (LAD) as ACLA, CLA, RALA, ALA, LADCC, and ACLA-at-Large (that is, Associate Coordinator of Leader Accreditation, Coordinator of Leader Accreditation, Regional Administrator of Leader Accreditation, Administrator of Leader Accreditation, LAD Council Coordinator, and Associate Coordinator of Leader Accreditation-at-Large). She has written hundreds of articles and “how-to” materials, helped create and publish the quarterly LAD newsletter LADders, been a speaker at dozens of LLL events, mentored and accredited hundreds of Leader Applicants across the U.S. and around the world, and recruited and oriented dozens of LAD representatives. Marie is honored to have been elected to serve Alliance Leaders on the LLLI Board, and looks forward to this new chapter in her LLLLife. I was born in Amarillo, TX into a military family. My father is from Continental, OH via Hialeah, FL and my mother is from Ocean Springs, MS. We traveled and lived all over the US and in Germany. When I was 7 years old my parents became foster parents. So, in addition to my two biological sisters, I have enjoyed being the oldest of at least 35 children (this differs depending on who is counting and if you include those who were casual fosters vs official fosters), including six who permanently joined our family. My family has members of various races, cultures, economic and religious backgrounds. While my family was living in Germany, I returned to the states to attend college and eventually settled in Orange County California where I completed a bachelor’s degree in Psychology while working full time for Grace Corporation’s Restaurant Division in Accounts Receivable, Accounts Payable and Payroll. In 1991 after a major health scare, I returned to Mississippi where my parents had retired. I then married and started my own family. My daughters were born in 1994 and 1997. Each breastfed into their fifth year. I am not sure how I would have managed without breastfeeding as a parenting tool. I would not have been able to successfully breastfeed without La Leche League. I also have a foster daughter who joined our family when she was 12. I quickly became a Leader (accredited in 1996) and joined the LAD as an ACLA. I continued working in the LAD and served as RALA for the Southeast Region after my divorce in 2007 and before accepting full time employment in 2013. I have also served as an operator and Director for the LLL Helpline – US and as the Area Conference Coordinator in my Area (Alabama, Mississippi, Louisiana, and Arkansas). I have had the privilege to attend several LLLI conferences and was thrilled to able to take my girls with me to the final conference in Chicago. I have been an IBCLC since 2001 and completed a master’s degree in Counseling in 2010. I have served Mississippi WIC as the Breastfeeding Program Coordinator. I have worked with various nonprofits dedicated to serving those who live in the margins, most recently with Habitat for Humanity. I have experience in accounting and counseling. I have seen the difference a solid and engaged Board can make for an organization. I am very invested in La Leche League and would like to see it continue and to serve my daughters and their daughters. Heidy Guzmán attended her first LLL meeting in 2007 and never left. In the Group, she received encouragement to continue breastfeeding one more month. She has been an LLL Leader since 2011 and what she enjoys the most is the monthly meetings with families. She has been facilitator of Communication Skills Workshop since 2013, Secretary of LLL Guatemala and ACL to Guatemala Area, which includes four other Central American countries. She is Guatemalan of the Garífuna ethnic group. She lives in a bilingual Spanish-French home with her husband, daughter, brother, a dog and a cat (and many snails, crickets and geckos). She is a Doula and completed her studies in law. She worked for 18 years in logistics/international trade. In addition to her love for all that LLL provides, she is dedicated to activities for women’s health, education and economic development; respect for the worldview of indigenous peoples; and the promotion of local/organic products and a more responsible lifestyle. In her free time, she likes to bake, read and learn languages. 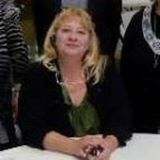 Susan was appointed to the Board in 2019 to fill an empty seat for LLL USA. She joined LLL as a new mother 41 years ago when she suffered from mastitis and her husband suggested that she call a local La Leche League Leader. She is still thankful for those Leaders in Virginia who got her through that challenge and supported her in beginning a wonderful breastfeeding journey. 3 children and 11 years of breastfeeding later, she was accredited as a Leader in Cleveland, Ohio. Helping families in Cleveland has been a persistently rewarding part of her volunteer life. Her favorite part of helping families is making home visits just to sit with new parents and encourage them as they get to know and understand the needs of their babies. As a professional, Susan holds a Ph.D. in English Language and Literature from the University of Virginia. 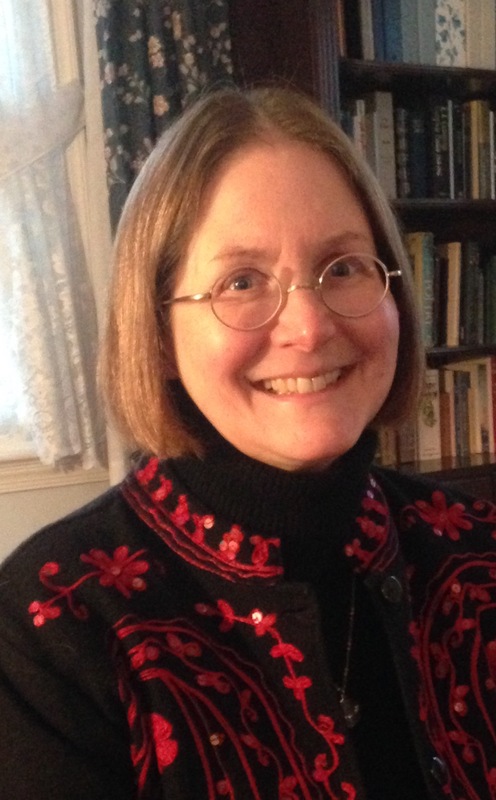 For 33 years she has been a faculty member at Baldwin Wallace University in Berea, Ohio, teaching courses ranging from freshman composition to Shakespeare in Performance, to Grant Proposal Writing, to Chaucer. For 12 years, she led over 50 study trips for students, traveling with them both within the U.S. and in Europe and Africa. For the last 5 years, she has served as Associate Dean for the School of Humanities at Baldwin Wallace. La Leche League has taught her much that she brings to her classroom and to her administrative work every day: communication skills, empathy, building trust, and compassionate problem solving. She hopes now to take the skills she learned from La Leche League and developed throughout her professional career back to La Leche League in her service on the Board of Directors. Susan has 3 children—Jonathan, Katherine, and Libby—and 7 grandchildren. She is looking forward to 2022 when she will retire and be able to read more, spend more time walking her two standard poodles, and, especially, enjoy the life of a stay-at-home gramma. Devorah was born and raised in New Jersey. She met and married her husband David in 1976. With the support of LLL New Jersey Leaders, she successfully nursed her first child despite a painful start. She made it through a required cessation of breastfeeding due to medication, then considered contraindicative, and became inspired by her local Group Leaders to help other mothers as they had helped her. In 1981, Devorah was accredited as a La Leche League Leader in New Jersey. 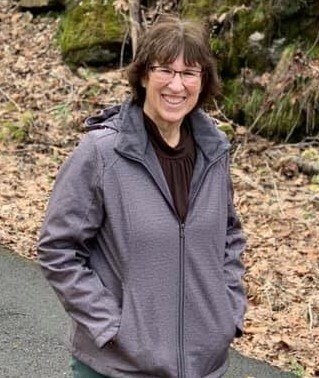 She moved with her family to Israel in 1984. where she continued working with LLL, first as a Group Leader and then in many LLL administrative positions. LLLI has been a huge part of Devorah and her family’s life. For LLL Israel, Devorah has served as the Area Coordinator of Leaders, Area Professional Liaison, and in other administrative positions. She was a founding editor of a breastfeeding newsletter in Hebrew for medical professionals, jointly sponsored by LLL-Israel and the Academy of Breastfeeding Medicine. 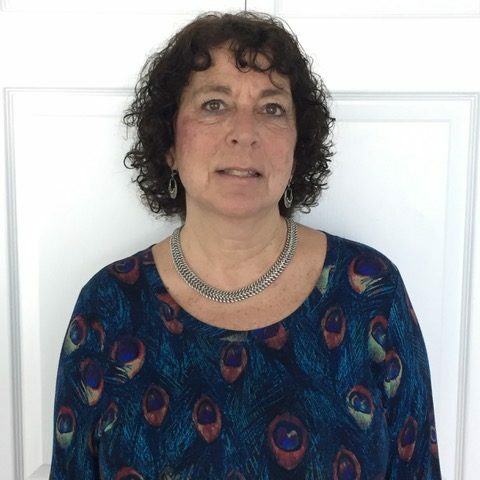 At the international level, Devorah has served as Coordinator of the International Area Network, Interim Director of the International Division, Division Professional Liaison Coordinator/Administrator and Communication Skills Coordinator. In addition, Devorah is a certified lactation consultant (IBCLC 2011). She currently works with a major Israeli public health fund and volunteers in the maternity wards of a major hospital. 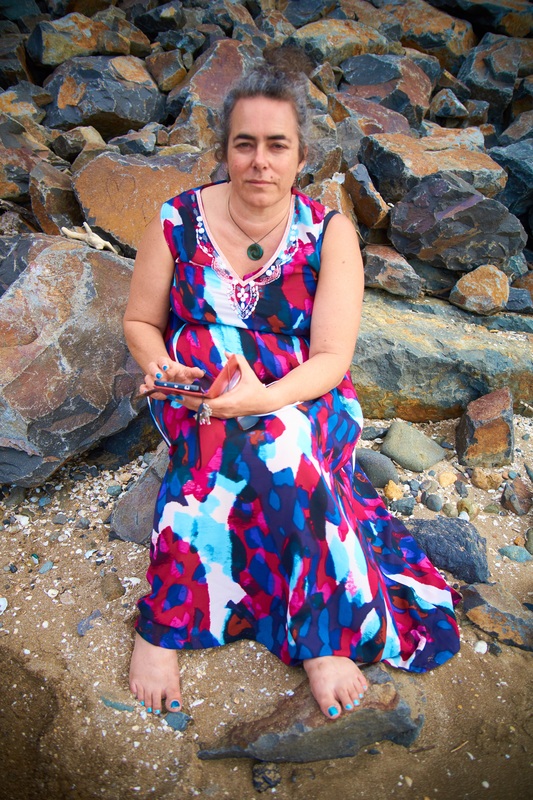 Devorah holds a BM from Boston University School of Fine Arts, piano performance (1973), an MA in Ethnomusicology (1976), and an MS in Computer Systems Engineering from Columbia University (1984). While raising her family, she worked part-time for many years in the Israeli hi-tech industry, and she taught academic courses in the software field. Devorah and her husband live in Jerusalem. They have seven children and 19 grandchildren (so far! ), all of whom were happily breastfed.